When in doubt, put on a Size 8 Double Beaded Big Hole Crawler. Spot one last Mayfly that died of loneliness. Everything is underneath the surface. 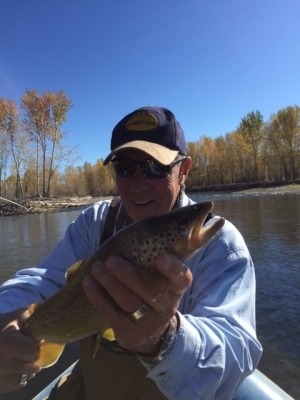 Our good friend, Vince, is holding a great looking Brown he caught on the Big Hole River today.